← A business dean’s rant: Ignorance of the facts or pure “Chutzpah”? 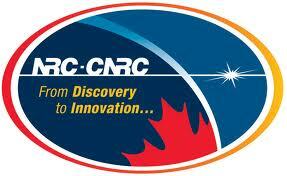 Alberta Research Council culture goes National! Over the course of his 12-year tenure as President and CEO of the Alberta Research Council (ARC), John McDougall steered the organization towards “delivering and aligning science and technology solutions to industry’s needs”. Less than one year after his appointment as President of the National Research Council (NRC), McDougall “ordered all staff to direct research toward boosting economic development and technology, with less time for pure science”. As reported by the Ottawa Citizen, employees of the National Research Council received an e-mail from the newly appointed President in which he announced the new strategy of the NRC: “We intend NRC to be a purposeful outcome-based organization – the best Research and Technology Organization in the world contributing to Canada’s future economic success”. 1. Printable electronics, for a new globally competitive electronics industry that will be viable in Canada. 2. Resilient wheat, to develop a profitable strain of wheat that is highly tolerant to environmental and climate stress. 3. Bio-composite materials, to build a Canadian-based value chain that replaces imported products with economical high performance materials. 4. Algae, to reduce 20% of CO2 emissions from large Canadian point source emitters through production and conversion of algae to value-added products. In addition to these four, a certain number – 15 to 20 – of “National Strategic Programs” will be identified and developed over the next few years. For all of these programs, a significant monetary contribution from Canadian partners will be mandatory. To achieve this, NRC staff is required to, Evaluate everything they do in terms of the new strategy; Take steps to re-direct efforts away from misaligned activities; Do what they can to fix the under-performing activities; Terminate the unfixable. The President doesn’t mince his words. All this seems reasonable, but why are NRC officials refusing to talk to the Ottawa Citizen about these new directions? As Rob Annan has already discussed, it is clear that NRC was in search for an identity. Some institutes are highly involved in industrial collaborations and services, while others involve scientists who are performing high quality, pre-competitive and application-oriented research. Of course, the full spectrum exists, even within a single institute. One wonders how NINT and the Herzberg Institute will fare under this new structure. It is not clear whether these major changes and rather ambitious objectives, coupled with an « Orwell meets Baden-Powell » internal policy, will lead to success. Let’s hope they do. A highly regimented management of R&D implemented at Agriculture Canada more than a decade ago, seems to have had very mixed results –to say the least. How will the “Programs” be selected? Who will be accountable if they turned out to be ill-conceived and sterile? Will it be the scientists who fail to reach the objectives that were selected by managers, or will it be the managers themselves? Ron Freedman from the Impact Group, among others, indicates that the major problem with innovation in Canada is the inability of Canadian companies to translate the money they are investing in R&D –often thanks to government subsidies– into market innovation. He suggests that companies should be more accountable for the help they get, and a good way to do this would be to move from indirect funding (SR&ED) to direct funding (such as IRAP) with close monitoring. The government seems to have decided to shift the burden of “market innovation” towards university and federal lab researchers. It is doing so by diverting substantial amounts of money from discovery to industry, either through NSERC’s continuing focus on industrial partnerships, or on having CIHR “promote a problem-based, multidisciplinary and collaborative approach to health research”.